Having been used and practiced for many centuries, herbal teas have been renowned for its natural health benefits and powerful medicinal properties and have played a crucial role in the weight loss industry. An increasing amount of studies have been undertaken into their weight loss effects and we have to ask – Does Herbal Tea Help You Lose Weight? We are constantly bombarded in the media with either images of celebrities looking slim and toned after being on the latest weight loss program. Or by the newest hype in weight loss diets, pills, supplements, books and videos that make big (and mostly false) promises in radically reducing your weight in the shortest amount of time. The weight loss industry has grown enormously over the last decade which is sadly enforcing an alarming number of people to conform and crave the idea of looking slim at all costs. Boot camps, hypnotherapy and injections are but a few of the recent approaches into losing weight and to some extreme, some have even considered surgery. It comes as no surprise that herbal tea manufacturers are quick to jump on the band wagon as there are now endless amounts of herbal tea for weight loss on the market that make big claims of losing weight in a fast and painless way. These claims include burning fat, burning calories, boosting metabolism, reducing bloatedness and even suppressing appetites. But is there any truth to this? A number of proponents claim that certain herbs used in herbal teas can achieve weight loss benefits. 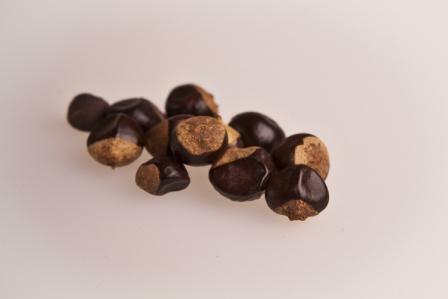 Studies have shown that some herbs – such as Guarana and Kola Nut – can act as stimulants to accelerate body functions such as increasing the heart rate, digestion and respiration due to its caffeine content. They can offer a quick but temporary boost to your metabolism which may increase the rate you burn fat. However, caffeine can increase your appetite so you could find yourself back to square one! Other herbs – such as Dandelion, Nettle and Senna – have diuretic (increased urine excretion) or laxative properties to remove water and food weight before digestion begins and help your body reduce the feeling of feeling bloated. Many avid dieters believe that diarrhea keeps their bodies from absorbing calories or fat but this is not the case and could lead to possible dehydration and dependency on laxatives. 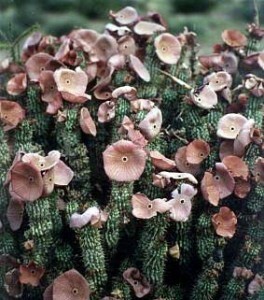 Some herbs – like Hoodia Gordonii – act as natural appetite and drink suppressors and has been used for centuries by South African Khoisan herders to endure long periods without food or water whilst hunting and gathering. The action of these herbs can “trick” the mind in thinking the stomach is full so you’re not tempting to snack as much. Care should be taken though as a prolonged use could lead to malnutrition. Siberian Ginseng is a popular herb to use for its ability to stabilize blood sugar thus reducing the desire to eat sugar and sweets. However, people who suffer from high blood pressure, narcolepsy (frequent and uncontrollable deep sleep) or taking blood thinning drugs should avoid it. The idea of these natural properties are a key selling tool for manufacturers in producing their weight loss herbal tea blends. But in reality, no studies have actually had any conclusive evidence of weight loss by using these particular herbs. The reigning champion when it comes to the notion of weight loss herbal teas is Green Tea. Despite not being classed as an herbal tea (as its leaves come from the actual tea plant camellia sinensis), it has had the most extensive research done and is the closest thing to a weight loss tea that has actually been proven to be effective. Green Tea contains high levels of polyphenols (chemicals with powerful anti-oxidant properties) that ward off harmful free radicals which basically mean your cells are protected from invaders that don’t belong in your body! These potent anti-oxidants can be 100 times more powerful than Vitamin C and that they appear to protect the DNA in cells from cancer. Polyphenols contain flavonoids called catechins and it is the apigallocatechin gallate (EGCG) that is the most active and most studied polyphenol component which is responsible for its slimming effects. It also contains caffeine which gives the drink its stimulant effects and can increase metabolism which helps to burn fat and calories. 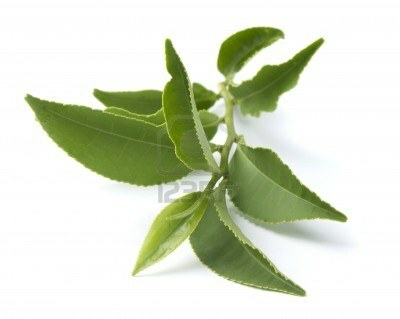 It is these reasons why the ingredients in Green Tea are widely used in popular diet pills. There are lack of clinical studies in to the effects of weight loss herbal teas and the most the most comprehensive research has been done on something not even considered a herb! Some critics have argued that the weight loss benefits occur when people swap their sugar-fuelled black tea for a calorie-free Green Tea! Although the actions of certain herbs have been studied over time, the effects of some herbs could do more damage than good. Too much drinking of one type of herbal tea blend over a long period could cause dehydration, malnutrition or being dependent on laxatives. The truth is, there is no magic drink, or pill , or lotion or potion for that matter that can help you lose weight without much effort on your part. And even if there was, there would still be some negative side effects. 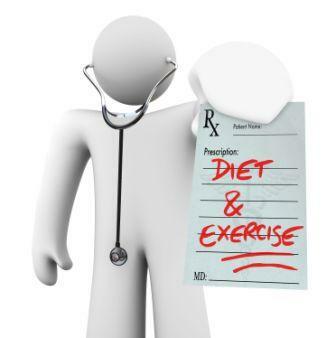 The mantra of regular exercise and a balanced diet maybe hard work to fight the bulge but at least it wouldn’t compromise your health in the long run. Have you used herbal teas for weight loss? If so, which ones? Did it have any effect? I’d love to hear your thoughts and comments. Peace be with you. I will be discussing does herbal tea help you lose weight by looking at the actions of certain herbs used to possibly help with weight loss/control. Stimulants, laxatives and appetite suppressors of certain plants are discussed - but can they alone help fight the battle of the bulge? Thank you for sharing this useful read, usually people use expensive medicines to loose weight which are harmful and I know some people who do that so I am going to forward this useful article to them also. Looking forward to read more great work from you. Thanks Sarah for your comments. I appreciate your visit and glad you found the article useful. Have a great week! Very informative! I agree with you – weight loss claims and advertisements are pretty much everywhere you look. I’ve personally tried green tea before, however am not the biggest fan of the taste. Do you have any suggestions on ways to sweeten it or consume it alternatively? Any info would be greatly appreciated. Thank you! thanks for stopping by. Perhaps you could add honey in your green tea – my husband does that at times! Personally, I find that strange, but hey, each to their own! Also maybe brewing your green teas at the right temperatures will help them not taste too bitter or strong. Were you aware that green tea should be brewed between 70℃-81℃ and steeped for around 5-7 minutes? …Hope this helps. Have a lovely week. Glad you enjoyed the read Candice! I did not know that herbal teas can be appetite suppressors. I have a really big appetite and I will probably drink herbal teas a lot during my weight loss process after bulking. As I mentioned in the post, appetite suppressor herbs shouldn’t be used long term as it could lead to malnutrition. If you planning to lose weight after bulking then a good, balanced diet really should help without starving your body of the necessary nutrients it needs after a workout. Hope that helps. Thanks so much for your positive comments Pamela. It is my passion and quest to learn and share this knowledge to all – I want to empower people to look after their health and embrace it and not rely solely on Big Pharma! Peace be with you. I did not know hardly any of this about different herbs and things. But I am glad at the end you put it exactly how I feel about all weight loss products. I think that to lose weight you have to want to and have your body do the natural thing to increase your metabolisms such as diet right and exercise. Even if you are eating or taking something your body still needs that natural stimulation for weight loss to be a success and to be maintained. yes, it’s very true that to lose weight you need a lot more effort on your part too – maintaining good eating habits and regular exercise is the way forward. I believe that supressing or forcing naturally what your body wants is very damaging in the long run. Thanks for stopping by! Hi! Thanks for this great article on herbal tea for weight loss. Don’t get me wrong herbal tea has many benefits, but as far as weight loss is concerned, I don’t really think it’s a contender – even the green tea. I would imagine you would have to drink gallons of the stuff. You’re right. There is no magic pill. Everyone wants a quick fix from months if not years of overeating. 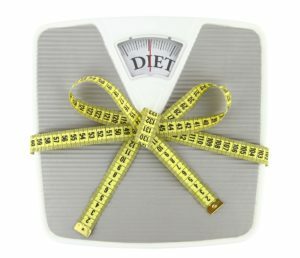 They only true way to lose weight and keep it off is by changing your lifestyle. What do you think? Yes, we definitely live in an age where everyone wants a quick fix, right now attitude! My motto is “Everything in Moderation”, so a balance in healthy diet and regular exercise is a must to fight the bulge. Thanks for popping by! Looks like you have a great start to your new website. Congrats and love how you came down to the reality saying that it comes down to eating right and getting off our butts and get some exercise. Speaking of that, I better get out of my office chair and get some fresh goat milk to go with my flaxseed granola! Lol!…thanks for your comments Pat!….it’s sad to see we’ve become a nation obsessed with ‘quick weight loss’ schemes that many have lost the reality of exercise and good diet that works better in the long run! Herbal Green Tea for Weight loss. thanks for the feedback!…the website is still in progress so please revisit again for more updated blogs and information.